The magazine’s relaunch follows the test-issue template set by other Hearst titles like HGTV and Dr. Oz. The Spring/Summer issue of Metropolitan Home will be released on April 11—70,000 copies will be sold on newsstands with another 45,000 going to subscribers of other Hearst magazines such as Elle Décor, Town & Country and Esquire—and, depending on reader and advertiser interest, more issues could follow. The Kitchener-based annual one-day Word on the Street in Kitchener was a relatively modest contributor to the much larger national festival. However, according to a story in the Waterloo Region Record, it now it has been decided to pull out of the national event. The City of Kitchener, which financed it, decided its $20,000 budget would be better spent holding a series of literary-themed events throughout the year in collaboration with the Kitchener Public Library. The city announced Wednesday it is pulling out of the festival, which it has hosted for 15 years. Instead, it plans to hold ImagineIt, a series of events in partnership with Kitchener Public Library that "will focus on fun and interesting ways to connect the community through engaging events that celebrate reading, writing and literacy," according to the ImagineIt website. According to the news report, while WOTS was thriving in other cities (Toronto drew 225,000 people in 2014), attendance at the Kitchener festival dwindled over the years, from as many as 7,000 at its peak for as few as 2,000 after it moved from its original location in Victoria Park to the City Hall rotunda and the Kitchener Market. This is not the first defection from the national book and magazine festival which, since its founding in 1990 as a very successful Toronto event, expanded year by year into such cities at Halifax, Lethbridge and Saskatoon and, until now, Kitchener. The Vancouver Book and Magazine Fair Society, after 12 years as part of WOTS dissociated itself in 2013 from the national organization and rebranded as a 5-day Word Vancouver. "I have been witnessing Vancouver become a cycling mecca over the past decade with the expansion of safe cycling infrastructure, and yet Vancouver has lagged behind many other cities that have already implemented a bike share system," Kohout said. "And now it's finally time to launch a bike share system here and elevate Vancouver to the next level of cycling greatness." The bike share program is operated by CycleHop, which operates similar programs across North America, including in Ottawa. "CycleHop has signed a five-year contract with the city of Vancouver to deploy 1,500 Smart Bike share bikes this coming summer. The Vancouver bike share system will be the largest Smart Bike system in North America," the story says. "The bike share technology will be provided by a French company called Smoove." After a one-year hiatus (to make room last fall for the rare opportunity to host FIPP's world congress) the MagNet industry conference returns to Toronto June 7 - 9. The site and registration is open now (early bird rates close May 3.) The conference is co-hosted by Magazines Canada, CMC and the Canadian Society of Magazine Editors (CSME). The finalists for the Atlantic Journalism Awards have been announced. The winners in the various categories The awards will be presented during the gala dinner and awards event at the Halifax Marriott Harbourfront Hotel on Saturday, May 7, 2016. Mary-Frances Lynch - Saltscapes Magazine - Bedford, NS - Healing Roots. Mike Allen - Atlantic Salmon Journal - Chamcook, NB - River One. Stephanie Porter - Atlantic Business Magazine - St. John's, NL - Ancient Land, Modern Life. Atlantic Salmon Journal - Chamcook, NB - Winter 2015: Art of Conservation. East Coast Living - Halifax, NS - Fall 2015: Old Town, New House. East Coast Living - Halifax, NS - Winter 2015: Bright New View. Halifax Magazine - Halifax, NS - June 2015: Pet Projects. Sara Kimber - Atlantic Business Magazine - St. John's, NL - Innovator of the Year. Stephen Kimber - Atlantic Business Magazine - St. John's, NL - The Trials and Tribulations of Vrege Armoyan. The categories in the AJAs include radio, television, photojournalism, newspaper page presentation and so on. In the following categories, we have boldfaced magazines in the running. Adam Walsh/Paul Pickett/Philippe Grenier - CBC NL - St. John’s, NL - China: The Seal Hunt’s Last Hope? Rebecca Martel - Radio-Canada Acadie - Halifax, NS - L'énergie marémotrice en Nouvelle-Écosse. Stephen Kimber - Atlantic Business Magazine - St. John's, NL - Boiling Point. Adam Huras/Karissa Donkin - Telegraph-Journal - Saint John, NB - Daycare Inspections. Ashley Fitzpatrick - The Telegram - St. John's, NL - Poison in the Water. David Boehm - Rural Delivery - Liverpool, NS - Lobster on a Roll. Brent Mazerolle - Times&Transcript - Moncton, NB - Who was the Real Victim of June 4? Pascal Raiche-Nogue - Acadie Nouvelle - Caraquet, NB - Un Doigt d'Honneur. Trevor Adams - Halifax Magazine- Halifax, NS - How We Remember. Cara Smith - Telegraph-Journal - Saint John, NB - The Power of a Portrait. Philip Lee - Saltscapes Magazine - Bedford, NS - Lennie's Dream. Victoria Dekker - Telegraph-Journal - Saint John, NB - Paying Tribute to a Historic Program. "For a regional magazine in today’s industry, there is perhaps no commodity more valuable than the trust of its readership, fostered through clearly-defined values, an authoritative voice in the community, and the provision of an (experience its audience won’t find anywhere else." -- from an article in Folio: about the decision by Alive magazine of St. Louis to go paid and invest in a complete makeover of its print vehicle, reducing frequently, upping quality and narrowing the focus. Magazines Canada is offering another of their ad webinar series on March 31 at 2 p.m. The focus of "Magazine Media Brands in the digital age" is how Canadian magazine media brands are adapting to the ever-evolving digital landscape. Representatives from Cottage Life, Today's Trucking and Chatelaine will present case studies across both print and digital platforms., discussing strategies about working with agencies and advertisers, as well as lessons learned. The free webinar (capacity is limited) is designed for those in sales, editorial, media planning and publishing. Corporate Knights magazine has published its 2016 review of the best green buildings in Canada, singling out 12. 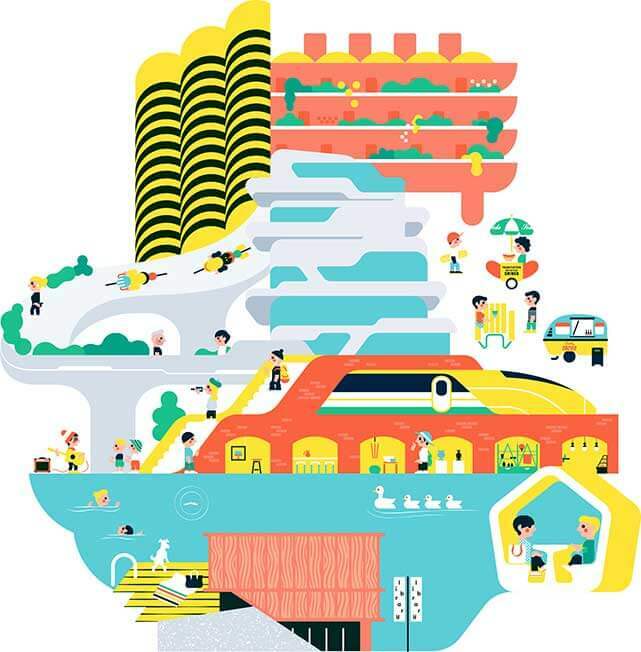 A panel of building experts selected them based on such higher construction standards as data on energy efficiency, human wellness and better operating costs. The complete ranking list is included in the spring issue of Corporate Knights, the magazine for clean capitalism. "The 12 buildings selected this year show that smart, clean, efficient design and construction can be done today," said Toby Heaps, CEO of Corporate Knights. "With the right incentives, reporting and permitting standards, the stock of green buildings could grow rapidly and, simultaneously, take a big bite out of energy costs and Canada's annual carbon emissions." St. Mary's Hospital on British Columbia's Sunshine Coast was designed to be North America's first carbon-neutral hospital. VanDusen Botanical Garden and Visitor Centre aims to achieve net zero standards for water and energy use. The Jim Pattison Center of Excellence is powered with photovoltaic solar panels. TELUS Garden has fully integrated smart building program controls, while MEC Head Office took a Lego-like construction approach with an eye to ease of disassembly at the end of building life. All were built to the LEED Platinum or LEED Gold standard. British Columbia is home to six of the greenest buildings in this year's review, four buildings are in Ontario with Quebec and Nova Scotia housing one each in the top 12. Featuring prominently in their design and construction were living walls and garden spaces, solar and geothermal systems, use of reclaimed materials, and rainwater capture and recycling for grey water and irrigation. The winning entries in the Canadian Cover Awards were announced on Tuesday evening in Toronto. Co-sponsored by Magazines Canada and the CMC Circulation Management Association of Canada. The awards recognize covers in the sale of single copies on newsstands, factoring in both design and circulation success and sales of the issue. Finalists were drawn from some 88 entries. Toronto Life won both silver and bronze in the general interest, arts, lifestyle and regional category. Canadian Business magazine won the gold award in the news, business and celebrity category for its 100 Wealthiest People issue (Winter 2014) which moved 5,300 copies, a 37.1% sell-through. winner was Winter 2014, marking the 50th anniversary of the Mustang, which sold 3,900 copies (33.7%). In the SIP and new magazine category, Legion magazine’s November 2014 issue won gold for its premium-priced issue The Battles which sold more single copies (8,800, a sell-through of 42%) than the magazine has seen in its 90 years of publication. 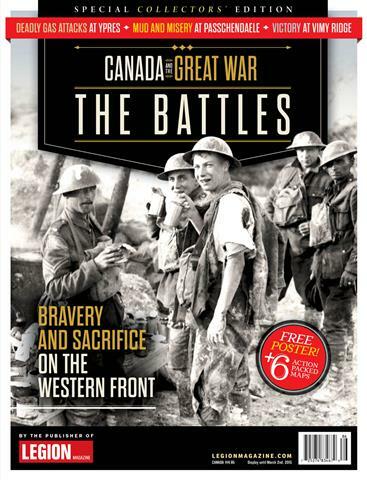 Canada’s History won gold and bronze among small magazines. Its gold winner, December 2014/January 2015, was its all-time bestseller, with 6,200 copies sold (42.2% of its draw). Mike Martin of distributor CMMI was named 2016 Marketer of the Year. Mag world view: Medium spun off; sleazy money; FOI: Use it or lose it; Can Texture change readers' ways? TC Media is launching a new magazine supplement called Style that will appear five times a year as an insert in Les Affaires newspaper. Each issue will have a different theme; the first focuses on fashion, beauty care and the home.The supplement is created by the content services department of the business solutions group. The Magazine and Web Publishing Program at the Chang School at Ryerson University in Toronto offers a number of its courses in the spring-summer term. Monday & Wednesday, May 2 – June 15, 6:30 P.M. – 9:30 P.M.
Tuesday, May 3 – July 26, 6:30 P.M. – 9:30 P.M.
Tuesday, May 6 – June 17, 6:30 P.M. – 9:30 P.M.
"They approached our magazine with the same careful consideration that Georges did — those of you familiar with the early days of Applied Arts will see a homage in the redesign, from some of the typographic treatments (including our brand-new masthead!) to the strong editorial sensibility. "We also have a new tagline! Create. Celebrate. speaks exactly to what we do at Applied Arts, and that is to recognize and promote the work that our creative audience makes. Our content is still very much focused on Canadian talent, but this new tagline speaks to our broader international audience. Of particular interest in the new issue will be its look back by a variety of creative professionals at the ways in which the business -- including magazine design -- has changed in the past 30 years. Photographer George Simhoni of Westside Studio, for instance, reflects on how, in 1986, photography was still analogue and involved camera, file, processing, dye-transfer, retouching and so on and setups often took days to complete. "Thirty years later, and the whole process is now so much more immediate. Everything is digital. As we shoot the different plates necessary in creating the finished image, it’s possible to compose them before we leave the shoot! I can do so much more now as part of my craft. It’s mind-blowing." "Tea Journey is like a digital caravan of story tellers who travel to origin and return with authoritative, elusive and exclusive articles, photos, and video that will help our readers discover their tea destiny. It serves a growing marketplace for fine tea with decades of publishing experience and an unprecedented network of devoted and respected tea authorities." The new digital magazine, published by Mystic Media Custom Publishing, targets established tea lovers looking to discover and refine their taste in tea – selecting, correctly preparing and serving the finest teas from around the world. It will be published three times a year -- the April (Origins) issue, the August (Tea Review) issue, and the November (Gifting) issues -- and delivered via mobile app. Between issues, subscribers receive full-featured articles and multi-media content on the Tea Journey blog. Content can be viewed anytime online at www.teajourney.pub or via custom apps for Apple iOS available on iTunes and the Android store. There will be profiles of collectors, scientists, antiquities scholars and tea blenders. The magazine will also seek out the best articles from Mandarin, Cantonese, Korean and Japanese publications and these will be translated by staff. Subscriptions are $24.95 a year or $14.95 for three months. A 3-day access pass to sample the magazine costs $1.95. Founding sponsorships are $249.50 for 10 subscriptions. What goes around, comes around it seems, at the Canadian Medical Association Journal, which went through a major crisis in 2006 when the publisher of the journal fired its editor and second-in-command as part of a move to privatize it. A large part of the magazine's editorial board quit as a result, as did several members of the board, moving their support to an online journal, Open Medicine. Now, 10 years on, the editor in chief, John Fletcher, has been fired and the publication's oversight committee has been disbanded. The magazine's editor will now report to the board of directors on editorial matters. (The matter of editorial integrity and independence were among the key issues in the 2006 crisis.) The president of the CMA, Cindy Forbes, is quoted in the Globe and Mail saying changes to the journal were the result of falling revenue and declining submissions. On Monday, the remaining editors at the CMAJ published an editorial criticizing the CMA for the changes and for suggesting that the journal's reputation is in decline. CMAJ's interim editor-in-chief is Dr. Diane Kelsall. "...the contract sets a minimum salary of $50,000 for any full-time Gawker employee, a minimum of $70,000 for senior writers and editors, and a minimum of $90,000 for deputy editors and the editors-in-chief of some of Gawker’s smaller websites. The contract says every employee will be able to meet at least once yearly with his or her supervisor to discuss merit raises." [This post has been updated] New Trail magazine, the alumni magazine of the University of Alberta, was named Magazine of the Year last night at the Alberta Magazine Awards. 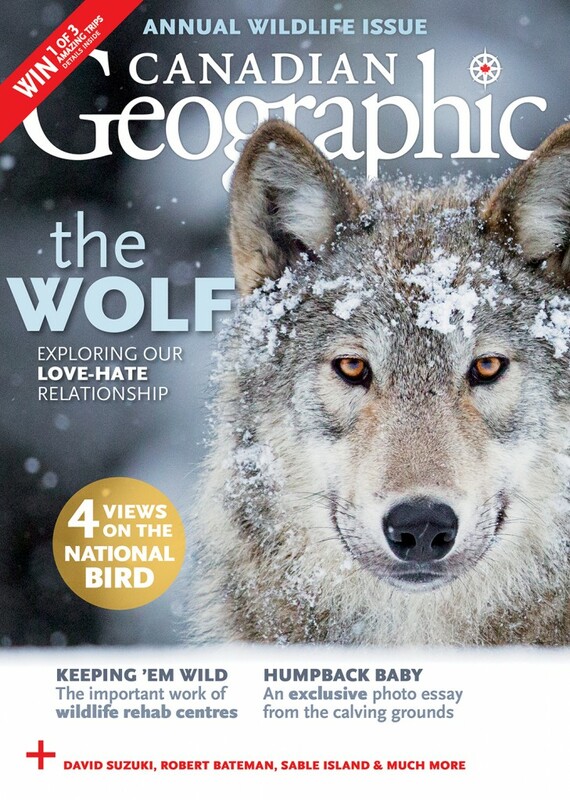 It also won gold awards for illustration, art direction of a single issue, editorial package and best cover. All of those awards were for its heavily illustrated "Future of Everything" issue. Art direction was by Marcey Andrews and illustrations by [update] Raymond Biesinger and Gwen Keraval. Editor of the year was Curtis Gillespie of Eighteen Bridges, which won 4 gold and 1 silver awards. An outstanding individual winner at the awards was Edmonton-based writer Omar Mouallem, who won gold for profiles in Alberta Venture and service:lifestyle in Swerve and silver for short feature writing in Avenue Edmonton. Mouallem is also editor of The Yards, for which gold went to Mack Lamoureux and silver Allison Voisin in the emerging writer category. "Focusing on women's & men's lifestyle, as well as international cultural events, Condé Nast Publications contribute to consolidate our position in the category Lifestyle, The addition of these new sites to those of our "Lifestyle" vendors such as Gentside.com, Ohmymag.com and FashionStyleMag.com not only allows us to enrich our offering in this market coveted by advertisers, but also to extend our reach to influential and affluent consumers." Quote, unquote: Is that a corner that magazines just turned? "What if the business formerly known as the magazine industry has already turned the corner, and the shutdowns and layoffs, as painful as they are, are the consequence of innovation and change—not the desperate actions of a dying business? What if the industry is doing things now that the digital-only media players can’t, and has content creation and marketing skill sets that Google and Facebook can’t replicate?" Anyone interested in Canada Council data, particularly about literary and cultural magazine publishing and CC grant recipients, will likely be very pleased about Open Data. There has always been statistical information available about grants, of course, but this new site will likely make it easier to find and use. "Our downloadable tables Stats and Stories align with international open data standards and include information on each grant recipient, including geography, program, discipline and equity groups for organizations. In addition to grant figures, you can find information on Canada Council Art Bank purchases, Canadian Commission for UNESCO and Special Funds (endowed prizes, Killam Research Fellowships and Prizes and the Japan-Canada Fund). The data, success stories and arts data go hand in hand to illustrate the breadth of Canada Council’s funding activities across Canada and abroad." 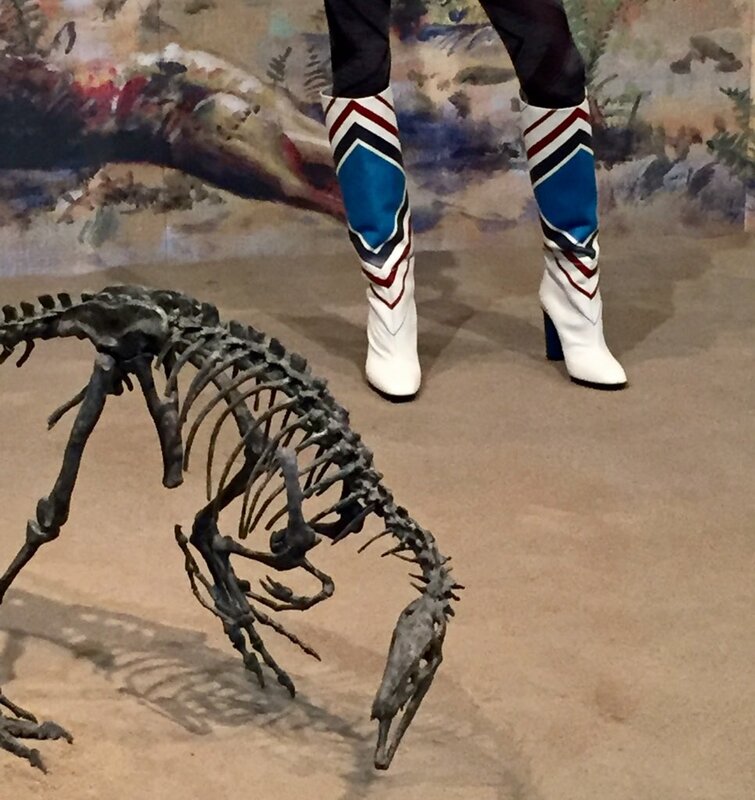 ELLE Canada goes back to the paleo age in its first fashion editorial shoot done in Alberta, with the dinosaurs at the Royal Tyrrell Museum of Palaeontology in Drumheller as the setting. Ironically, the issue theme is "looking toward the future". The cover story is an interview with the controversial Australian rapper Iggy Azalea. The cover image was chosen by the readers.